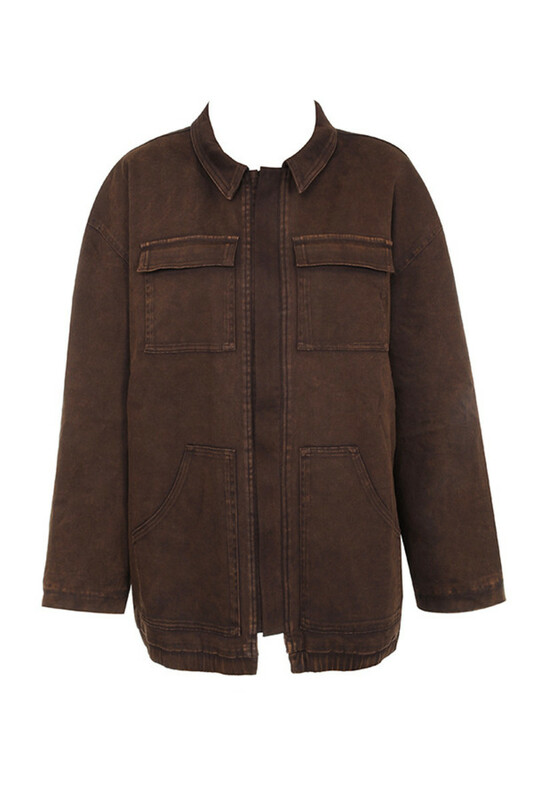 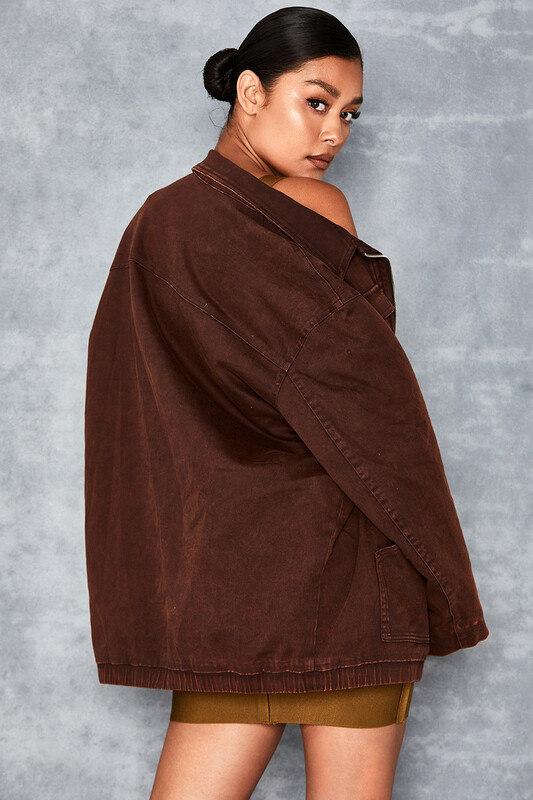 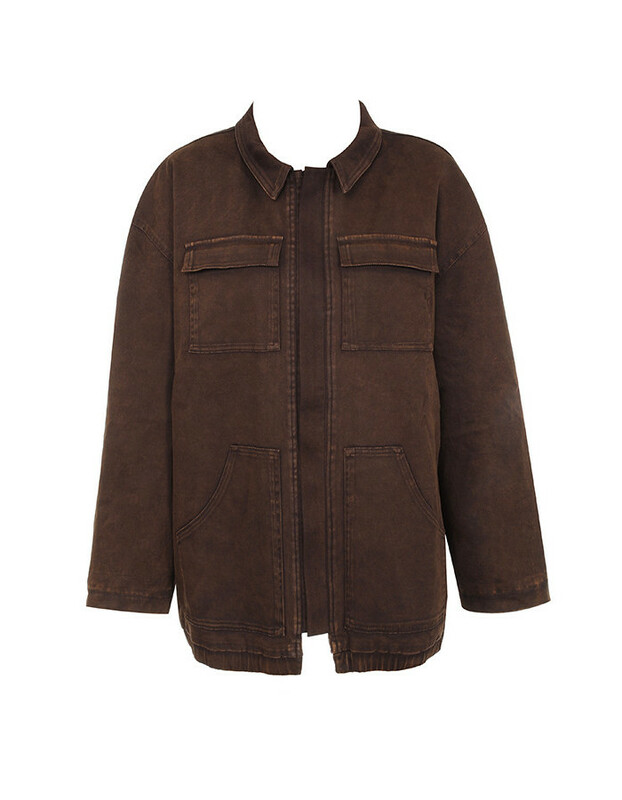 This oversized worker jacket ticks all the right boxes for Spring. 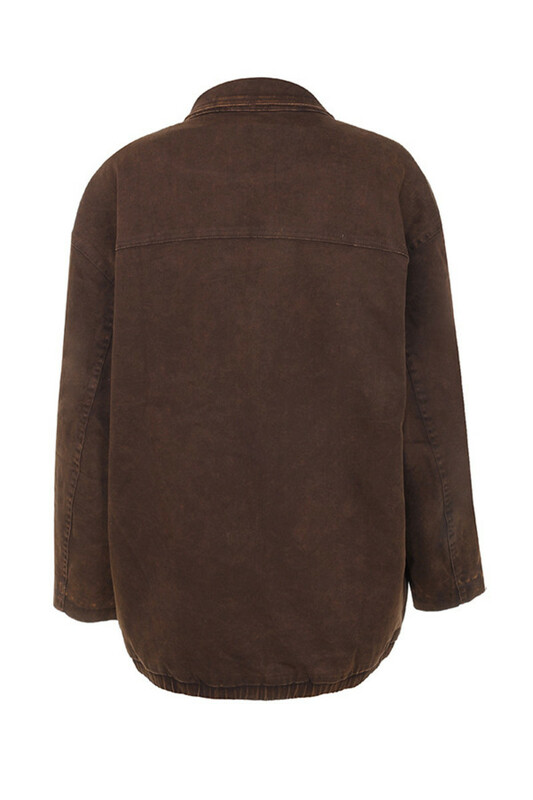 Lightweight yet cosy, super versatile to style with dresses or pants and bang on trend. 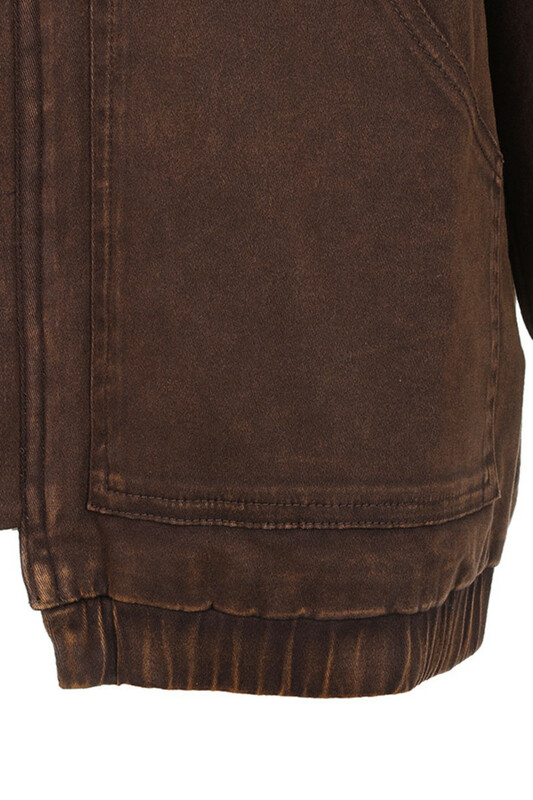 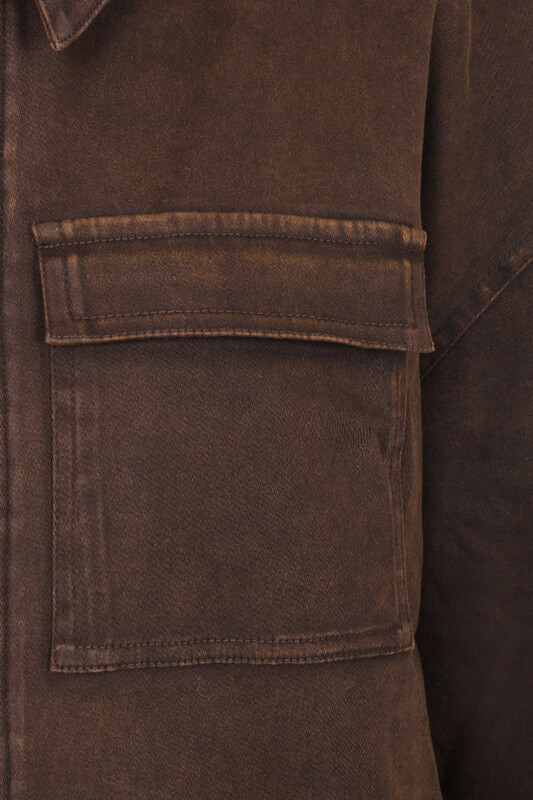 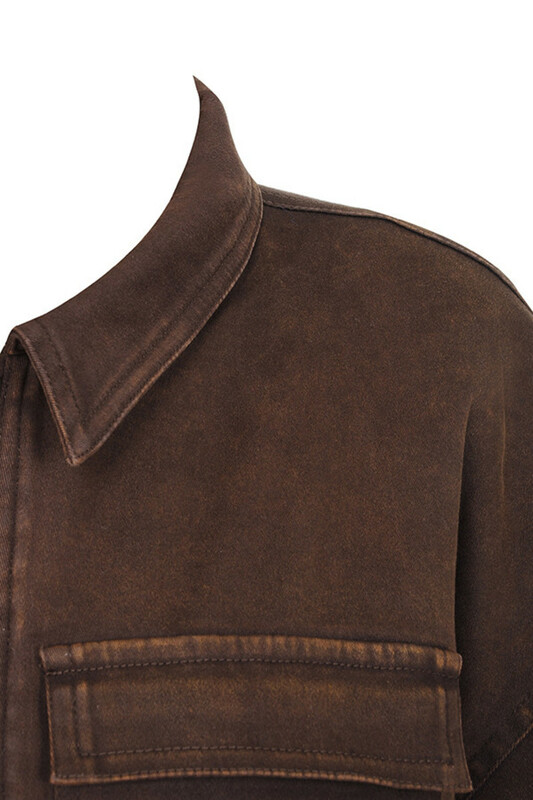 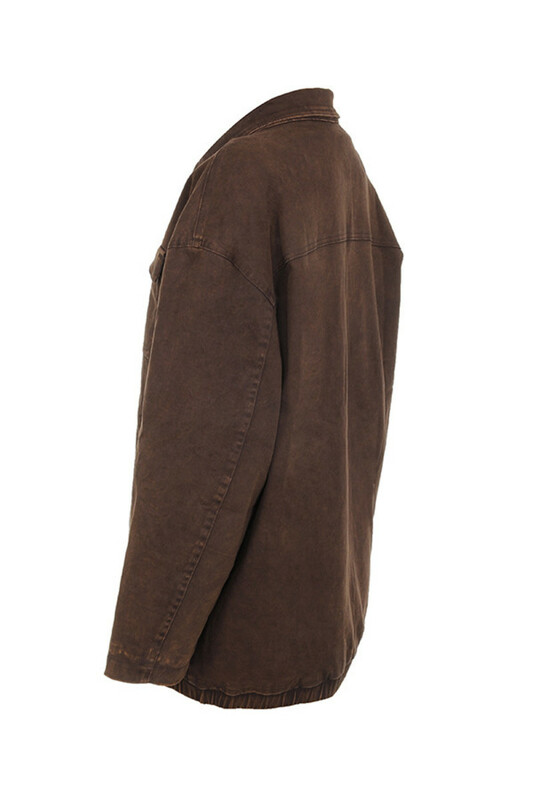 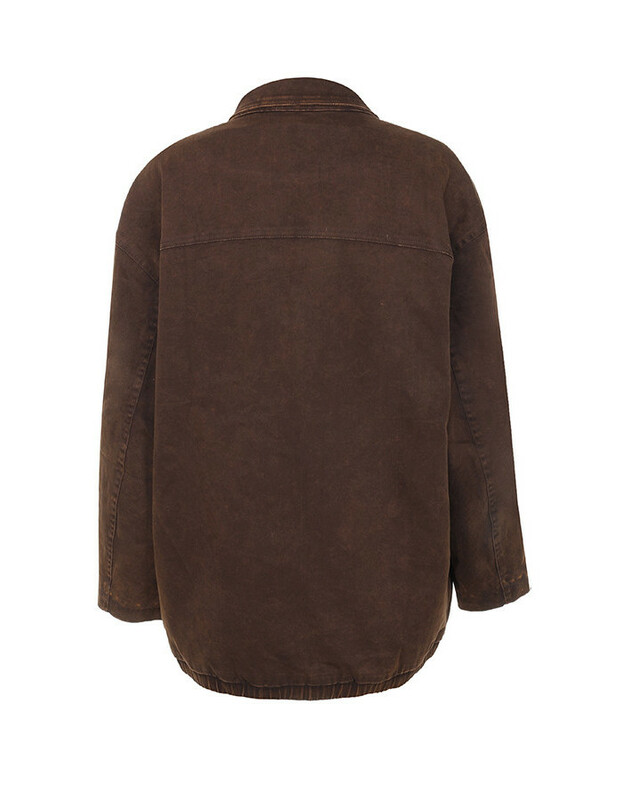 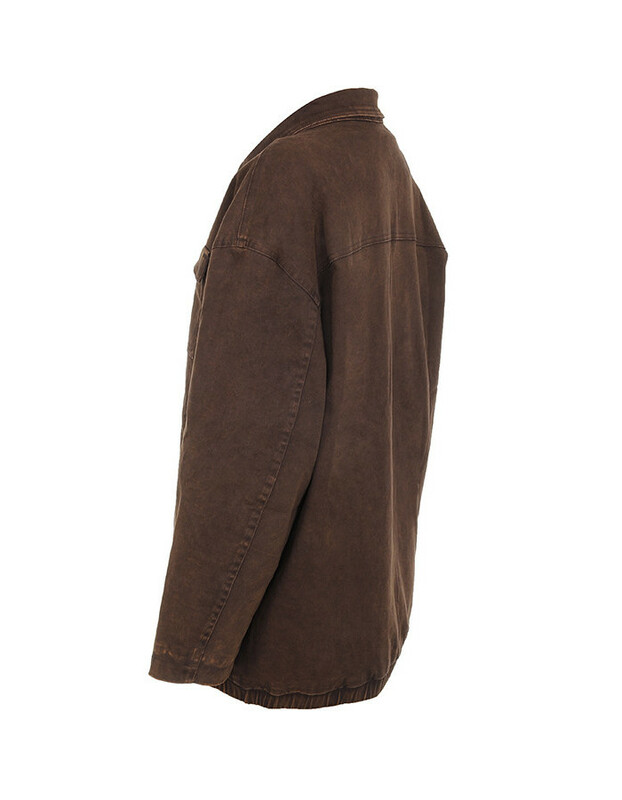 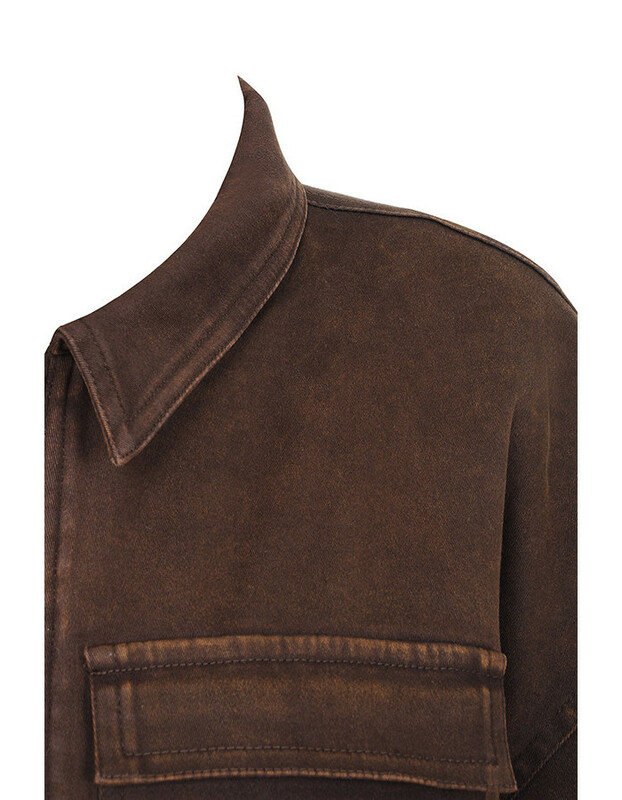 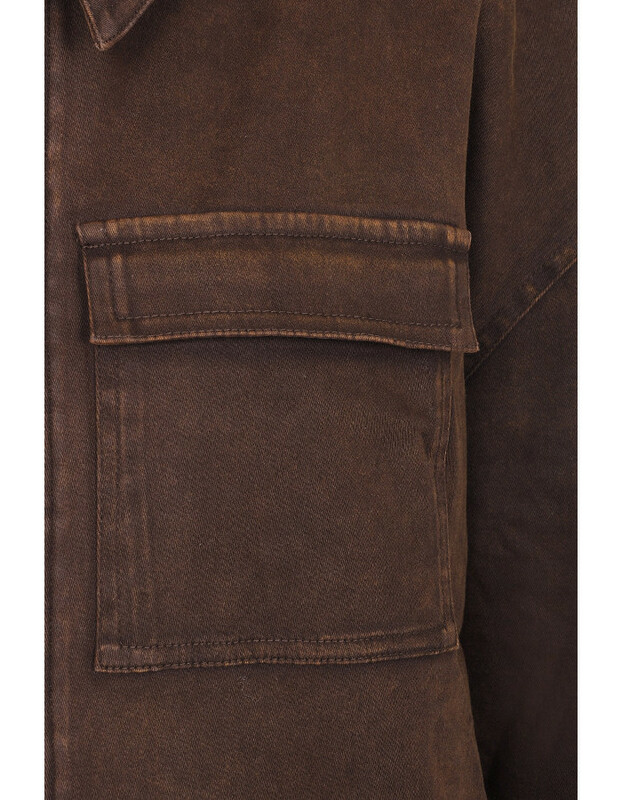 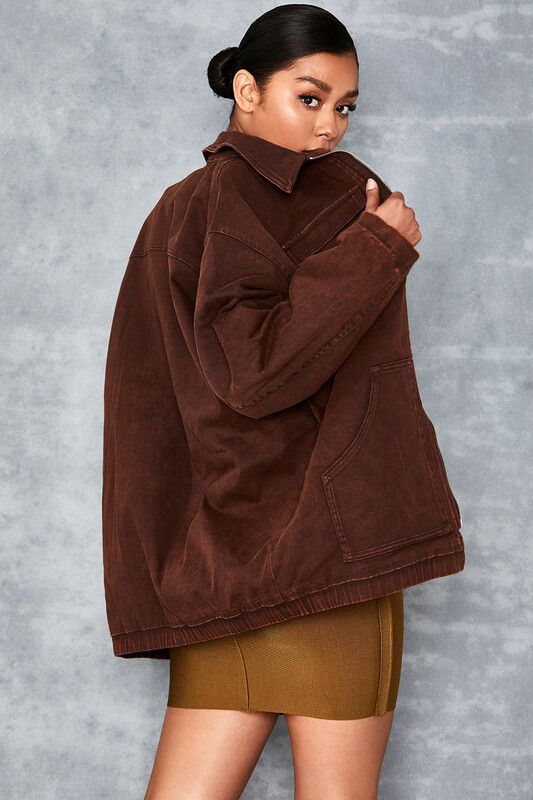 It's crafted from a robust denim in chocolate brown and features over sized pockets to the front. 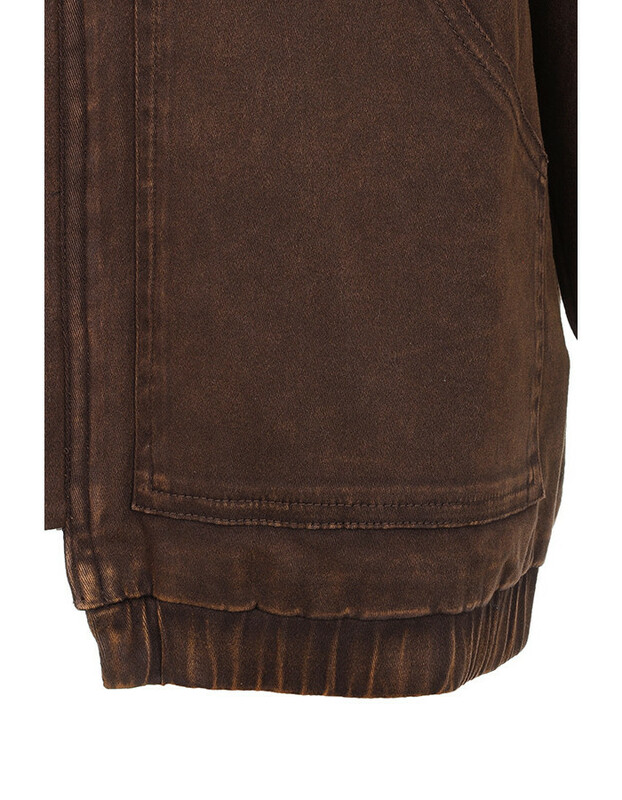 Wear yours hung loosely over a bandage dress or with cycling shorts and heavy boots.